Thursday is ALL ABOUT SUBMISSIONS. You may enter into any and all of the giveaways. Taking an action once (like commenting) qualifies you for all of today's giveaways (for that category, ie. commenting). Unless otherwise noted, All giveaways end at noon, EST, Jan. 21, 2016. We are lucky to have these giveaways due to the incredible generosity of our kid lit community, so if you happen upon these people elsewhere on the internet, please be sure to thank them! In this online class, poet Renée M. LaTulippe teaches children’s writers the poetic techniques that will make their writing more powerful and infuse their manuscripts with poetry, music, and magic. Great for writers of both prose AND rhyme, the course includes in-depth feedback on assignments and gives you a strong foundation in meter; trains your ear for rhythm, lyrical language, and rhyme; and sharpens your analytical and critical eye for revision. This is the full, guided class that includes feedback on your work. 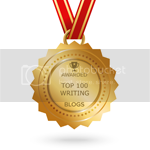 It is one of the best writing craft courses out there. Plus it's fun! Are you ready to write 12 picture book manuscripts in 12 months, surrounded by a passionate community of like-minded authors? Gain access to 12 free writing craft webinars, a members-only forum to share critiques and advice, a Facebook page, and an amazingly supportive community. Win a free SILVER membership in 12x12. If you win this and already joined 12x12, Julie Hedlund will refund you the fee for Silver, or apply it to Gold if you are in Gold! Picture Book Workshop with Candace Fleming & Eric Rohmann ($75 value) Join Caldecott and Silbert medalists as they share the five key components of a successful picture book. Choose one of the webinars in this four-week series, that begins on Jan. 13 (pick either a replay or future webinars in the series). This giveaway ends on Friday, Jan. 15. Character Building Through Worldview in Writing MG & YA with Alexadria LaFaye (4 week webinar, begins Jan. 12, replays available) ($75 value) Key components and elements to building character in MG & YA. Choose one of the webinars in this four week series, that begins on Jan. 12 (pick either a replay or future webinars). This giveaway ends on Friday, Jan. 15. Candace Fleming: Five Secrets to Writing Narrative Nonfiction ($75 value) Candace Fleming reveals the secrets to shaping facts into page turners and crafting passions into compelling truths for young readers. Choose one of the webinars in this four week series, that begins on Feb. 10. 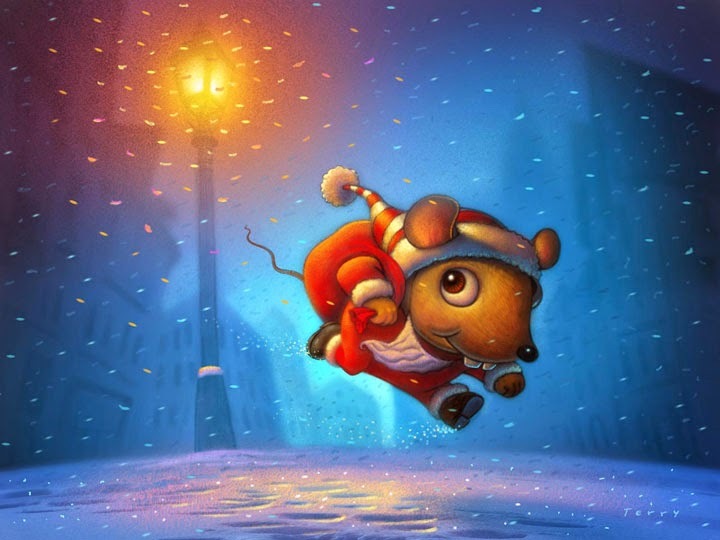 Pacing Picture Books to Wow with Jodell Sadler ($75 value) Learn the 10Ps and 20 ordinary tools to get to extraordinary pacing results and amazing picture books Choose one of the webinars in this four week series, that begins on Jan. 11 (choose a replay or future webinar). This giveaway ends on Friday, Jan. 15. Editor Allison Moore Discusses the ALA Awards, Join Allison Moore, Associate Editor, Little Brown, as she discusses the ALA winners. (Jan. 16) ($35 value) This giveaway ends on Friday, Jan. 15. Be a Better Critique Partner, with Agent Heather Alexander ($35 value) (Feb. 13) Learn techniques to break apart a PB manuscript into its elements and identify what the heart is. 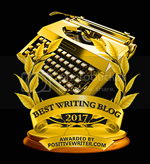 shows you how to avoid common writing errors and apply writing elements that will enhance your stories to take them to a higher level. includes 217 pages with ten lessons, seventeen supplements, and eighteen worksheets. Plus bonus materials and resources. Editor extraordinaire Emma D. Dryden, who we interviewed last spring, is the founder of drydenbks LLC, the children's editorial and publishing consultancy firm she established in 2010 after 25 years as an editor and publisher with several major publishing house, most recently Simon & Schuster. Here's your chance to win one of her amazing craft worksheets that is made available only to workshops she teaches or to her clients. She is giving away a worksheet on Interviewing Your Characters. Win the The School of Visual Storytelling (SVS) course, Illustrating Children's Books, taught by author-illustrator Will Terry (featured in our Author-Illustrator Spotlight in April 2014.) and illustrator Jake Parker (illustrator, animation designer and comic artist). Join Children's Book Academy award-winning master teachers Hillary Homzie and Dr. Mira Reisberg as they help you how to write or illustrate and sell those much-desired Middle Grade Novels in fun and “you-can-do-it” ways. Up-grade your chapter book or even your picture book concept in ways that you can’t even imagine now to open new doors. Are you ready for an extraordinary adventure in this empowering, and highly interactive e-course with awesome, submission opportunities and tons of bonuses? Enter now! A lot of great programs on this site. Very exciting! Wow - what an impressive selection of craft courses! I hope many of these are won by those living too remotely to attend in-person workshops or conferences, or those trying to stretch a tight budget to learn their craft! Thanks to the donors and to KidLit411 for the roundup! So many fabulous giveaways and in particular KidLit College Classes - AMAZING webinars! You are rocking the birthday week! I am amazed at the plethora of fabulous prizes focused on craft! Congrats KidLit411 on your 2nd birthday and fabulous donations! This is a testament to your contributions to the field. Wow. And I thought books were a great giveaway. This birthday celebration just keeps getting better and better! So much greatness!! I am crossing my fingers on this one, especially! Thanks for the opportunity! Wow, possibly the best kid lit giveaway I have ever seen. You guys rock! Another wonderful list. I am blown away by you guys! Thank you! Your prizes are so generous! Thanks so much! Thank you for this great contest. The prizes are amazing and so is the generosity of all who donated them. Thanks! Oooh--lots of good stuff here. You rock, Kidlit411! Oh my, I feel like a kid at Disney, I want all of these prizes. But I'd be thrilled just to win one. Thank you Kidlit411! This is too much guys -- again, THANK YOU!!! Again, I am in AWE of the fantastic prizes you are offering. What a generous KidLit community! So many amazinng prizes! Thank you Kidlit 411 and to everyone who has donated! It feels like Christmas all over again. This is fantastic! Good luck to everyone! What amazing prizes! Thank you for offering such a fun contest. I've learned about so many opportunities for improving my work just from reading through the prizes. Thanks for putting this together! So many spectacular ways to learn, grow and love writing for children. Thank you! Love seeing classes for Illustrators as well as writers! Holy frijoles! Those are some great prizes. It's YOUR birthday, yet you're the ones giving the readers fabulous gifts. So generous! Amazing day of giveaways! Thank you! So many excellent prizes! What I wouldnt do for the Illustrating Children's Books Prize! Thanks KidLit 411! What great opportunities from such a generous community! Kiddie Lit people are great! This is an awesome bundle of prizes! Birthdays are fun! Another great day of opportunities. Thanks, Kidlit411! Wow, what a lineup! What a celebration! A very happy birthday! What an incredible line up! Thank you for providing these incredible opportunities! Lots of amazing gifts! Great celebration! Just like you two to celebrate this wonderful milestone with continued generosity to the Kidlit411 community. Thank you! What great prizes! Thanks to all the donors and kidlit411! Whoa! This is amazing!! Thank you donors!! Thanks to the donors and kidlit 411 for great prizes. Lots of opportunities for further knowledge! These are amazing gifts -- so generous of you to share with those of us who are working to become better writers. Thanks Kidlit411 and Happy Birthday. WOW! What a list! Something for everybody! Happy Birthday and thank you so much for the amazing gifts and opportunities! All these prizes are fantastic. Thanks for all the information and commitment to help writers! Fabulous prizes and very generous people! Would love to win a prize. Happy birthday to KidLit411! And thank you for hosting such a generous giveaway! I've loved discovering your blog and getting helpful information. I just signed up for a Twitter account today to get that extra entry – that’s how amazing your giveaways are! THANK YOU to all who contributed and HAPPY BIRTHDAY Kidlit411!! KidLit411 has been an invaluable resource to me this year. You guys are fantastic and this amazing giveaway just confirms that! HAPPY BIRTHDAY!!!!! Woo-hoo! And to think, I almost missed it. I wish you much success and many more years to come. Thanks for all of the help and information you provide artists and scribes. You are greatly appreciated! Keep up the good work. Thank you all for these wonderful opportunities. It is so gratifying to have this resource and this community. Fabulous giveaways! I'd be jumping for joy if I won any one of them. Oh my goodness...AMAZING giveaways. Thanks!! I also wanted to say that I've taken several of these classes and they are amazing and help you move your skills forward. What presents these truly are! Happy Birthday! What a way to celebrate! In 2011, when I was trying to figure out how to learn more about writing for children, I had a hard time finding information online. KidLit 411 is such a wonderful resource because it presents all of these wonderful learning opportunities in one place. Kudos! Wahoo! These are great prizes. Happy B-Day KidLit411! I am new(ish) to KidLit411 and I'm so glad I read this post because I've never heard of most of the craft prizes offered and I am always working on my craft so having these is great. Thank you so much!! These all look fantastic! Happy B-day KidLit411! Happy Birthday! Thank you for the wonderful opportunity to win such awesome prizes! Happy Birthday, KIDLIT411! Incredible party you're having here! Thank you to everyone for offering such tantalizing prizes! I'm new to this world and am so grateful for the generosity found in the community of Children's Writers! Another day of great prizes! Thank you! Happy Birthday, KidLit! Thanks for the gifts you constantly give us! These are amazing opportunities! Thank you so much KidLit and the wonderful donors! I really need some of these prizes, even if I don't win them--my writing career has slumped and I need to get myself back into shape!!!! Thanks for the chance to win awesome prizes. So many fabulous prizes, such generosity! Happy Birthday, Kidlit 411! Happy Birthday, Kidlit! Thanks for taking the time to put this event together. Wow! So many wonderful prizes and resources! Happy Birthday! Wow! Really helpful resources to know about -- whether or not I win. Thanks for doing this!! Happy Birthday KidLit411! Thanks for all the essential information you provide. Wowowow!!! Totally amazing prizes! THANK you!!! Happy, happy birthday Kidlit411!! Just like yesterday, these prizes are AMAZING. Thank you for all that you do. Happy birthday and thanks for everything you do!! Thank you for this fun, playful contest! It definitely helps lighten things up and creates a supportive community. So many great offerings! I wasn't even aware of a couple, so great opportunity to look into them. Thanks. These prizes are terrific! Thanks to those who donated and the great folks at KidLit411 for all their hard work. Happy 2nd Birthday! You guys are amazing! Thanks SO much for all you do!!!! This is an AWESOME line-up of gifts! KidLit 411 is just fantastic! This is an amazing line-up of talent and offerings! Happy Birthday to you! These are too great to pass up. Impressive! Really amazing prizes, once again! Goodness, aren't we supposed to be giving you guys gifts for your birthday? Great stuff here, ladies, thanks!! Amazing giveaways! Thank you for the opportunity! WOW! That's a lot of prizes! You folks rock! So generous -- thank you! Wow. This is an awesome line up. Happy Birthday again! Happy Birthday! Thanks for all the amazing prizes! I'm blown away by these prizes! Thank you to everyone who contributed. Happy birthday Kidlit really glad I follow and see all your posts. Thank you for such amazing gifts on YOUR birthday :). Wishing you a great year! Wow! What an amazing site - so glad to have discovered it!! I Shared on Twitter but forgot to add my name, sorry. Happy Birthday! I would love to win any of the above prizes!!! Happy Birthday, Kidlit! Thanks for all you do! And how I would love to learn more about analysing picture books!!! Happy happy happy birthday, dear Kidlit411. You are a resource no kid lit writer should be without...helping with informative posts, the scoop on contests and other submission opportunities...you guys provide it all! Look at all of these amazing prizes! How generous of you to let us celebrate your birthday in this way. Thanks. So many amazing gifts! Thank you for all that you do! Happy birthday! You have such a wonderful, informative website. Now you are giving away such amazing prizes! Thank you so much!. These are wonderful prizes! Thank you for hosting such a great giveaway. What incredible opportunities ... thank you! Wow what a stellar set of prizes! These prizes are incredible...thank you! This is amazing! What a great birthday bash! The prizes COULd NOT get any better!!!! Amazing set of prizes! KidLit4111... you rock! Fabulous prizes congrats on your anniversary! Happy Birthday, KidLit 411. Thank you for an awesome year of advice, contest information, and fun. Here's to many more. Wow, this is incredibly generous. THANK-YOU!! Good gracious, this is a massive list of awesome. Thanks for the opportunities! This is mind blowing. You guys are amazing! Thanks for all you do for the kidlit community. Such amazing prizes. Thanks for all you do. Lots of awesomeness here--thanks for the chance to partake in it! You curate fabulous lists and then give us gifts on your birthday. Yay KidLit 411! Wow! Thanks so much for the opportunity to win these great prizes. Thanks for helping us all to become better writers! What great prizes! Such a great start to the year! Amazing prizes for your goodie bag! Some really great giveaways today! Thank you Kidlit411! Wow these are some amazing prizes!!! Thank you Kidlit 411 for all you do . I am so excited for all and any of the great prices! Thanks, KidLit! What a generous giveaway! Thank you, KidLit 411 and happy birthday! Love your informative blog. Congratulations on the birthday. What a wonderful, generous offering of gifts! WOW--Thanks so much for being part of our writing journeys by offering such amazing prizes! Love this blog! I need help: My rhymes! My illustrations! HELP! These are fantastic! I enjoy the emails! Yes, I need help too! Thank you! Wow, these are amazing prizes! Thanks so much for the giveaways, and congratulations! What exciting prizes! Thanks KidLit411 for being such a storehouse of knowledge, opportunity and motivation! WOWZA! And this is only Day 2?! You are another gift that keeps on giving. What great writing incentives to start the year with! Wow, yesterday was awesome and I'm still in awe from all the wonderful prizes you're offering today. This is incredibly generous--and such a fun way to celebrate your birthday. I hope you're enjoying it as much as we are! Happy Birthday - you sure do know how to celebrate!!! You have very generous friends. I am stunned by your generosity and effort to get all these amazing prizes! Thanks so much for the opportunity to enter. You sure know how to put on a celebration! Great prizes. I hope I win and learn to become a better writer. It's only day 2 and the prizes keep getting better and better! Thanks for the opportunities! Happy Birthday KidLit411! The celebrations are so much fun! Happy Birthday, KidLit411. Thanks for being my weekly inspiration. O M G -- it just gets better! Happy Birthday again! These giveaways are incredible. Nice Birthday to you and to those who win. Thank you so much for the amazing line up of prizes! Some of these classes look incredible. Thank you! What great possibilities! Could not pass up this opportunity. Thank you. Hooray, Happy Birthday Kidlit411, you guys know how to throw a party! Fantastic prizes. Good luck, everyone! Great workshops! Wow! Thanks for the opportunity to win. Thanks for this great opportunity to win some amazing prizes! Wowza! Incredible give aways! Def entering. Happy birthday Kidlit411! Thanks for offering such wonderful giveaways! These are fabulous prizes! Thanks so much for your generosity!! Thanks a ton for this giveaway. I love this courses you have selected. Thank you! What incredible prizes! Kidlit, you Rock! You guys are super awesome! Happy birthday!!! Wow! What an amazing list of prizes. Thanks so much! These are so exciting! Thanks! This is just what I need. Trying to be move involved with my writing this year! Thanks so much for these posts and fabulous giveaways. Wow - more terrific prizes - how generous! What a fantastic selection of goodies! You guys are killing it with this giveaway. Happy happy birthday! Oh to be so lucky! Thanks not only for the opportunity for prizes but the shortlist of places to go to improve my craft! Wow! I'd love to win any of these prizes! Thanks for such a fabulous giveaway/birthday celebration! Amazing prizes! I'm feeling lucky!! Quite a remarkable array of opportunities -- I'm excited for any and all of the winners! Many happy returns! Thank you for all the opportunities to win cool stuff!